At Priority Charters,LLC we offer a complete variety of fishing adventures in and on the waters off the Rhode Island Coast. With the amazing variety of fish available there are several different types of game to pursuit regardless of your experience with a fishing pole. We fish all of Block Island and RI's south coast for Bass, Blues and Fluke. We fish for bottom dwellers like Sea Bass, Fluke, Porgy and Tautog near shore and in deeper water. Rhode Island is close to world famous Coxes Ledge and many wrecks. The fishing around Rhode Island is simply world class. You will not find this variety and consistency in any other port in the Northeast. 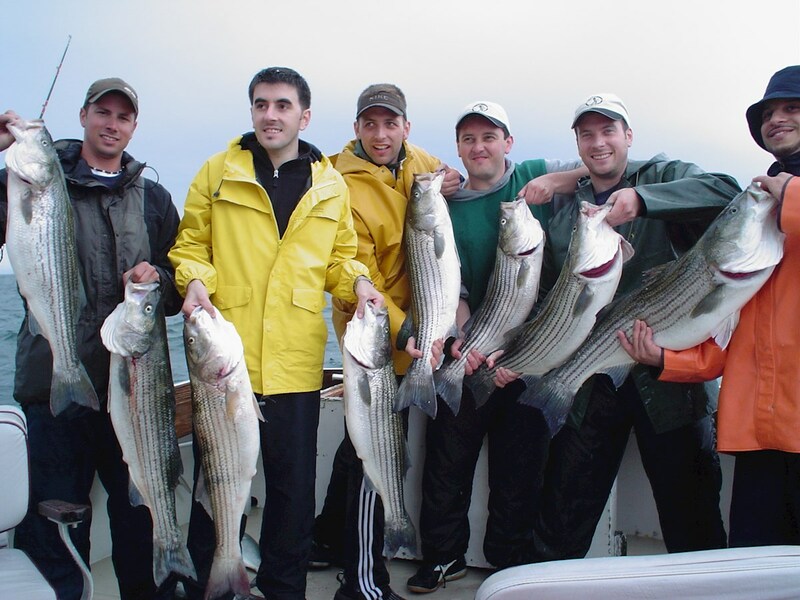 New York and Connecticut boats all flock to Block Island for the best fishing, why not begin your trip closer and get more fishing time! If Big Game is your preference, our offshore trips will provide excellent excitement. Geographically, Rhode Island is positioned perfectly to allow access to the best offshore fishing grounds in the Northeast. From Montauk to Martha’s Vineyard, we can get there faster and we know these areas so well. Fishing 15 to 25 miles offshore, we fish for Sharks and Bluefin Tuna. A bit further offshore, we will find more sharks, yellowfin tuna, albacore tuna and mahi mahi. Rhode Island has the best restaurants around to enjoy when you get back in from your trip. We will find a place that will cook your catch for you. Just ask….. The guys and myself wanted to thank you very much for the best day of fishing any of us have seen in a long time. Everyone absolutely had an awesome time, seems we could do no wrong, but that is because we had you guys to put us on the fish and tell us when to KEEP REELING...."